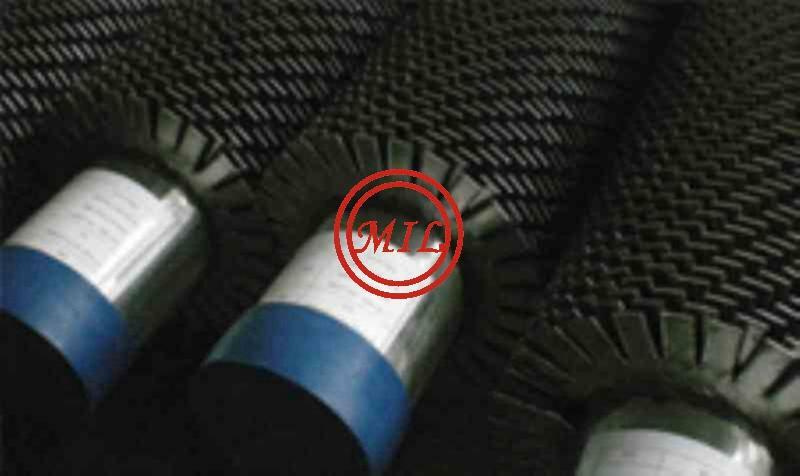 Helical Serrated Finned Tubes are manufactured by helically wrapping continuous serrated fin strip on edge around the tube circumference and consistence welding the fin strip to the tubes. Before being formed around the tube, the fin strip is serrated crosswise from one edge to within 6.35mm of the other edge, leaving an uncut portion that will become a continuous base for the fin segments. The edge will become the outer edge of the fin segments. The interval between cuts (which determines the segment width after the strip is formed around the tube) may be specified as either 4mm or 8mm. After being cut, the fin strip is held under tension and confined laterally as it is formed around the tube, thereby ensuring forceful contact with the tube surface. The fin strip is wounded spirally onto the tube and welded continuously with a High Frequency Electrical process to the tube along the spiral root. As the fin strip is formed around the tube its outer (serrated) edge spreads, opening the segments like petals of a daisy. A consistence weld is applied at the point where the fin strip first begins to bend around the tube diameter, using the gas metal arc welding process. 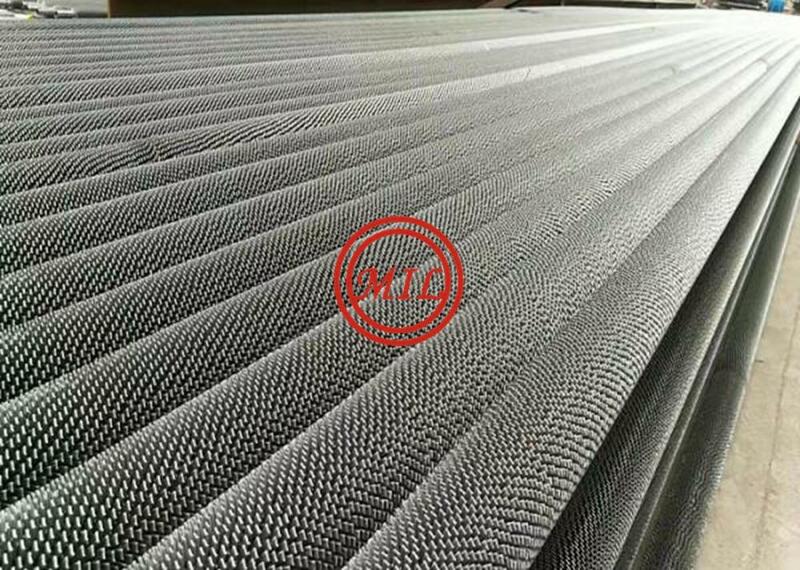 The strong connection between fin and base tube prevents loosening of fin because of heat stress, oxidization, corrosion etc., use at very high temperatures possible. This welded steel finned tubes configuration can be used in practically any heat transfer applications, and particularly suited for high temperature, high pressure applications. The important features of this configuration are efficient, effective bond of fin to tube under any conditions of temperature and pressure, and ability to withstand high fin-side temperatures. These tubes are used with a wide range of material such as carbon steel, low alloys steel and stainless steel for corrosive flue gas or high temperatures. The finned tube can supply these tubes shaped in hairpin, with extremities bevelled or flanged. The maximum length of high frequency welding spiral finned tube can reach 6 meters, that reduces the join points, making the installation more economic, efficient, and also reduces the leakage probability of joints. After installation, high frequency welding spiral fin tube needs no longer to be maintained. The heat dissipation area of high frequency welding spiral fin tube is more than 8 times of the light tube.The internal is smooth, so the internal flow resistance is small. 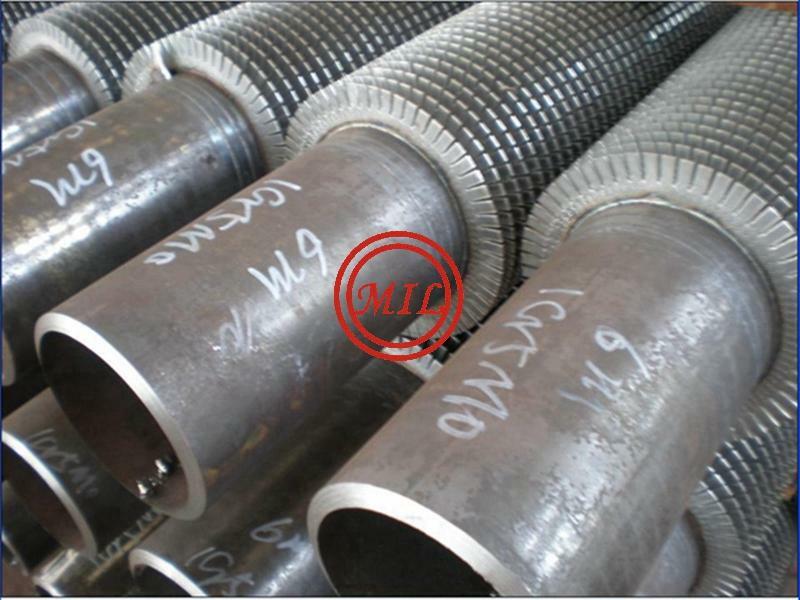 Fin and pipes with high mechanical strength, so the tensile strength is more than 200 mpa. Both inside and outside of the tube are all made of hot dip galvanized processing. 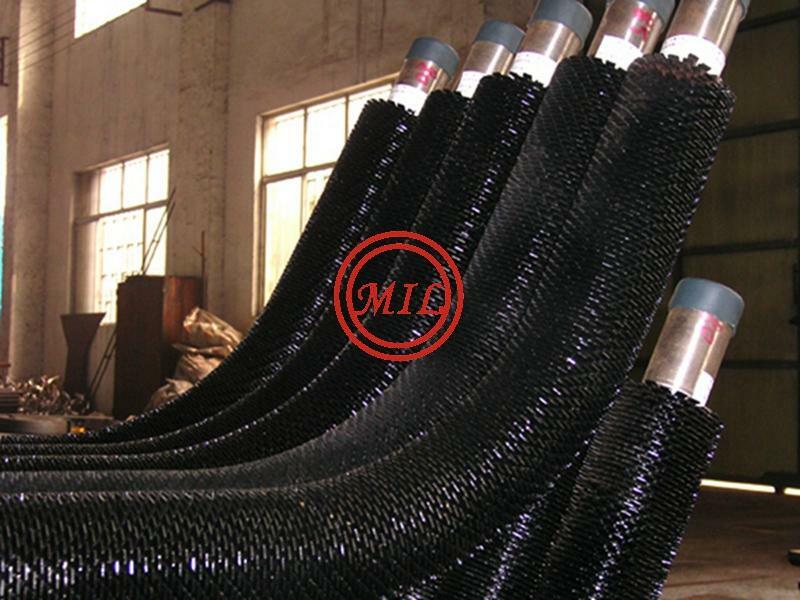 Weldable fin material: carbon steel, stainless steel, alloy steel, corrosion resistant steel. Weldable fin form: real tooth, tooth.